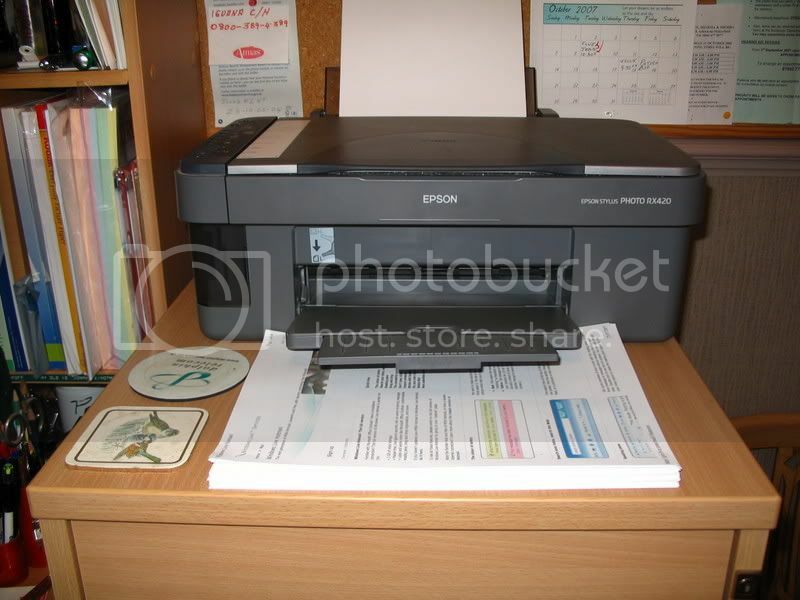 I have an Epson RX420 printer,which is a 3 in one. The last time that happened it cost me £25 at the computer shop to fettle, I think its the ink counters that need resetting, Anyone know how to do this please, because i'm a bit strapped for cash at the moment. £25 it doesn't take two minutes to do, that is too much. Thanks for the link arrow ,but what and how do I use it. I'm thick The program that I need is V4-0, which contains the fix for Epson RX420. It also says read all the info in Help, where's help. Honest arrow it was £25 from the computer shop on Westend Road Haydock. Ay, but how do I get to the red X in the first place? I cannot even get into the correct program. Version 4.30 will work, it is newer than version 4 and supports more models but still includes yours. Select your printer on the Configuration tab. Click the cross in the top right corner to minimise the program to your System Tray (down near the clock). Right click on the program's icon that is in the System Tray and left click Help where you will find better instructions than I can give for resetting the counters. For the privilage. The last time that I had it done in Haydock the chap said that he resets the counters and changes all the used ink pads. This is the scrapper undressed, & look the entire floor is covered in waste ink padding. Thanks for the help everyone. I did the mod by removing the pipe from delivering ink onto the floor pads and into a bottle, but now after 3 years I have got the same old message up again. 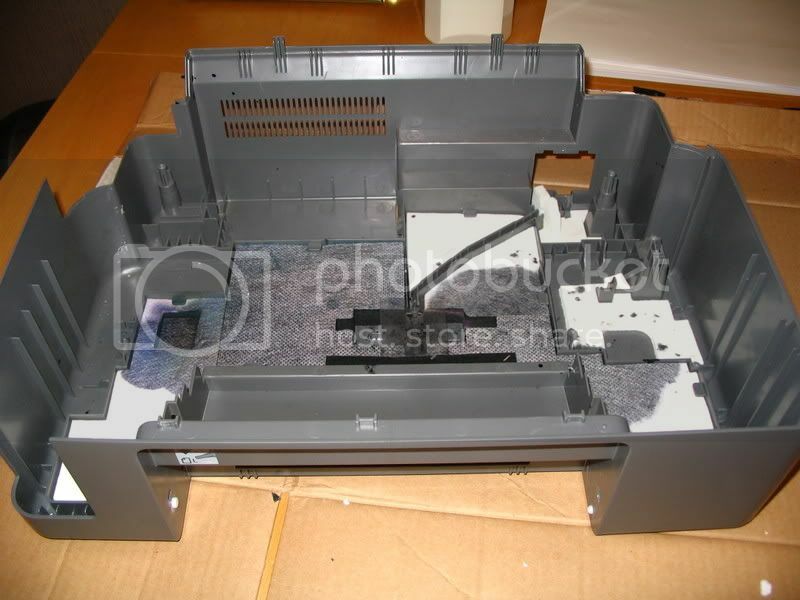 Parts of your printer are coming to the end of their natural life and require a service. I have tried to service the printer by using the downloaded counter resets, but my printer is having none. It still keeps printing though and is better than ever. Me-thinks a new printer is my best bet. What do you think ?